Week 12 and it seems like a very short time since we started our Grand Prix 2015 series, but here we are, already on Finals Night! Not surprisingly there was a good turnout for this round, with the top 4 contending players on the leaderboard all in attendance. Even though it was the last in the series, we still had a couple of new faces - Liam McTiernan finally making his 2015 debut along with new club members, Robert Gladstone and Mihajlo Raljic. 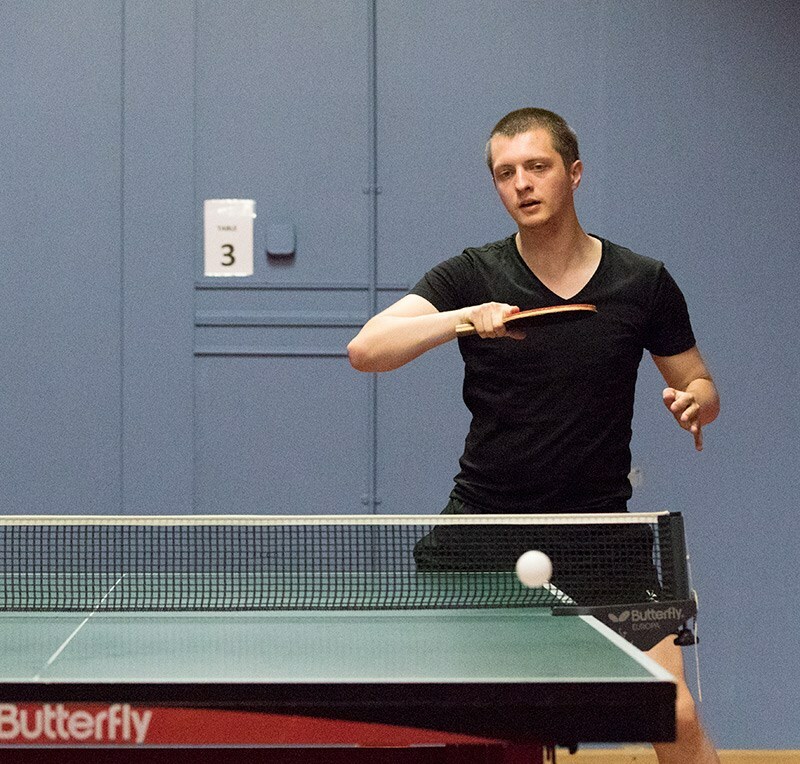 Grant Wheatley had a very close match with division 1 player Stuart Williams in the first round. Stuart took the first end 11-9. Grant took the next 12-10. Stuart answered this with 11-4 but Grant came back with his own 11-4 reply. A very close 5th end resulted in a 12-10 win for Stuart. The last 16 saw an epic match take place between Liam McTiernan and Martin Adams. Martin started strongly and went 2-games up and was close to making it 3, but Liam wasn’t going to let it go that easily and came back to take the third 11-7, the 4th 11-9 and the final end 11-6. 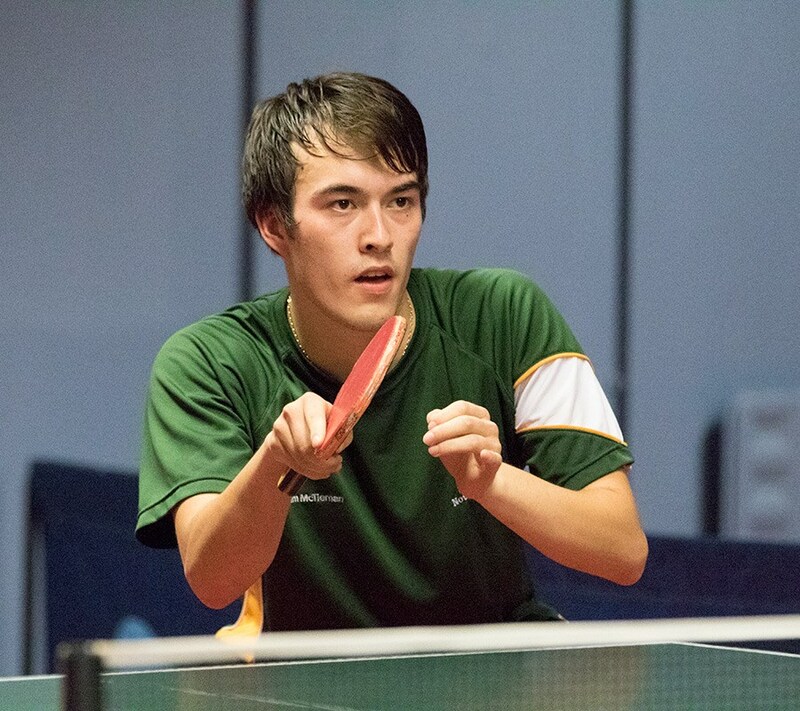 The main event semi-final match between Daniel Moses and Ian Girdler saw some brilliant counter-topspin play between the pair. In the first game it was neck and neck most of the way. Then Daniel really got into his stride, making some incredible retrievals including a superb rally which concluded with a fantastic ‘round the net’ shot that had to be seen to be believed. In the consolation event, Katie Shepherd scored a 3-1 win over John Priddle. The last time they met was in Week 8, where John had taken the first two games and Katie came back to win 12-10 in the 5th. This time Katie took the first end 11-6. John answered with 11-5 in the second. A pivotal 3rd end saw Katie win 12-10 and then 11-6 in the 4th end. Eduard Caliman had a good run in the consolation round, dispatching Mihajlo Raljic in 3 (11-4, 11-4, 11-7) and then Jim McAllister in 3 (11-7, 11-7, 12-10). Next he faced Richard Fifield who took the first end 11-6, but Ed came back strong to take the next 3 11-2, 11-6 and 11-5. This brought him to the consolation final where he faced Trevor Organ. Trevor's unique style of play didn't seem to phase Ed and he completed his run with another 3-set win (11-2, 11-6, 11-7). In the main event with Martin Gunn having taken out Hari in the quarter final and Ian Girdler taken out by Daniel Moses in the Semi-final, Martin Gunn faced Liam Mctiernan in the other Semi-final. The first two ends were very close, with Liam just taking them both 12-10. Martin answered back with 11-7 in the third end. The 4th end saw another extremely close game, with Liam eventually taking it 13-11 to book his place with Daniel Moses in the final, which he won in 3 games - 11-8, 11-7, 11-9. 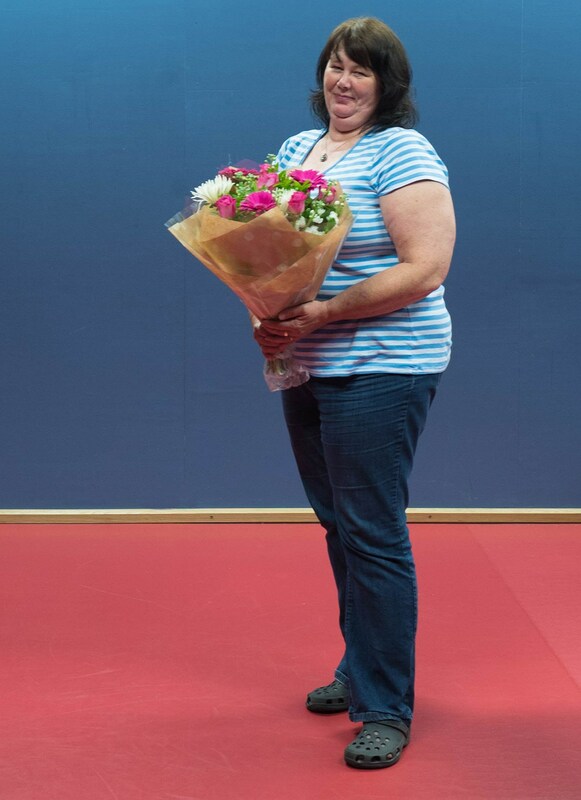 · A big Thank you to Grand Prix hosts Wendy Porter and Andrew Parker for all their hard work organising and running the event again this year. 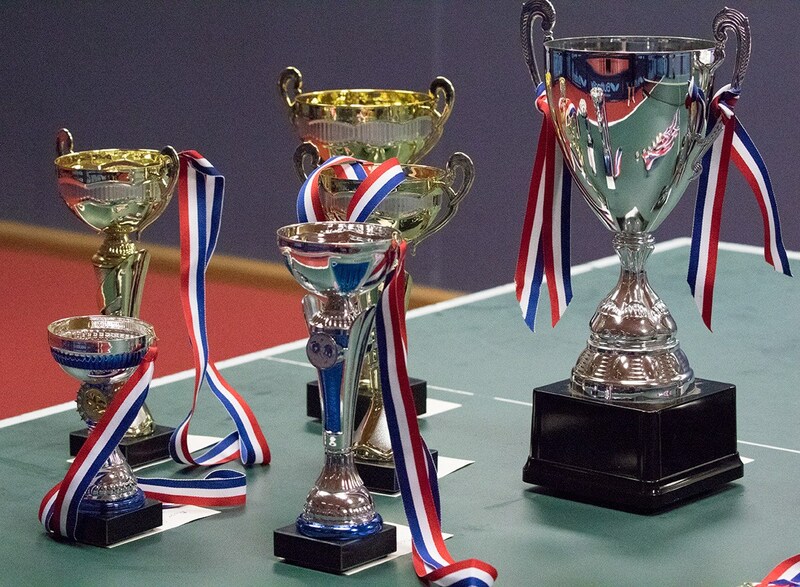 · Thank you to Andy Yon for sponsoring and organising the trophies and medals. · To Roger Woolven-Allen, Colin Dyke and Gwynne Penny for producing weekly ranking list and event reports and accompanying photographs. · Finally, thank you to all the Kingfisher players who have taken part and made it another great Grand Prix, with an excellent standard of play. · Good luck to everyone in the upcoming season! 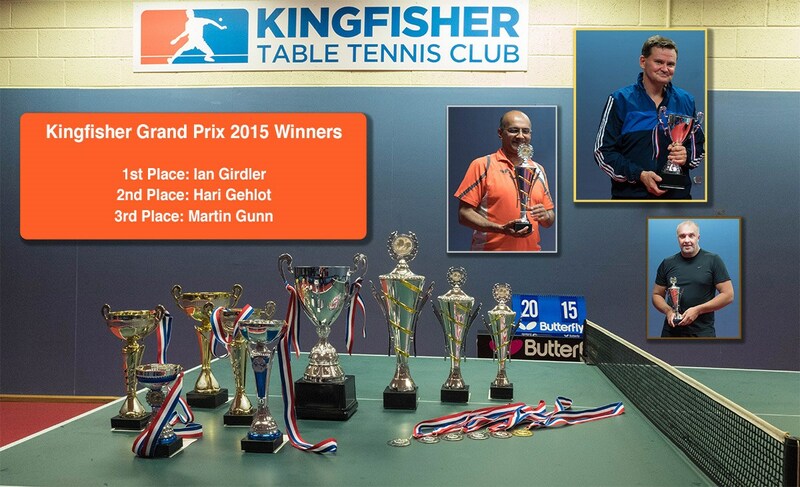 Kingfisher Grand Prix ran for 12 consecutive weeks from Monday 18 May to Monday 3rd August, 2015. · Most popular weeks - Week 4 with 31 entries, Weeks 9 and 12 - 30 entries. · Week 7 saw the fewest entries (19). · Four players attended all 12: Steve Miller, Gwynne Penny, Joe Barraclough and David Joyce.